Many years ago, Apple gave up on the standard VGA port and decided that all of their laptops should have very small proprietary video ports. This is an issue for anyone who would like to actually use that port to do something, like connect an external monitor or a video projector. To make matters worse, Apple changes the video port every two or three years and never puts any kind of identifying marks (other than a generic video symbol) on either the port or the plain white video adapters. Then, just to keep you on your toes, they only provide small, bird’s eye view photos of the adapters on the Apple Store, making it rather difficult to purchase the correct one. 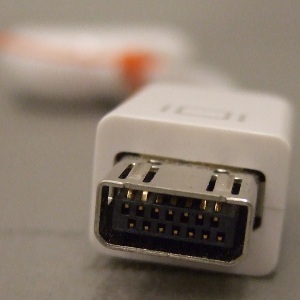 Mini Display Port to VGA (MacBook Pro, current gen MacBook, 2nd gen MacBook Air) – This is the ‘new standard video port’ that Apple is using across their entire line of laptops. 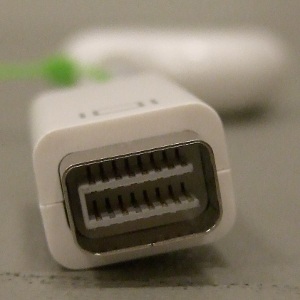 Since these are the most recent Apple laptops, this will be the most commonly requested adapter going forward. Micro DVI to VGA (1st gen MacBook Air) – Used only for one model for one year, you will probably not get too many requests for this one. 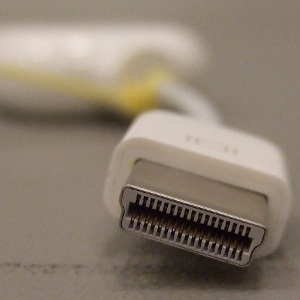 Mini DVI to VGA (Intel Core Duo iMac, MacBook, 12-inch PowerBook G4) – This one was in use for a while, and there are still a substantial number of these laptops floating around, so don’t be surprised when someone asks for one of these. 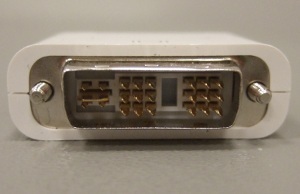 Mini VGA to VGA (12-inch PowerBook G4, iBook) – This is the oldest of the adapters. I haven’t had any requests for this one in a while, but that doesn’t mean I don’t have one just in case someone needs it. I would be remiss if I didn’t point out that the very first generation of iBooks did not have a video port at all. There were some very sad presenters that year. 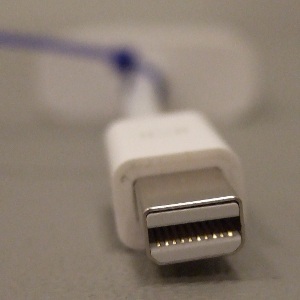 I have seen some USB-to-VGA adapters on the market, but I do not have proof that any of them work with the first gen iBook. There’s not much we can do for these folks other than have a USB flash drive handy to transfer their presentation to another laptop.